Therapeutic Horseback Riding is a recreational therapy for individuals with disabilities who ride horses to relax and to develop coordination, confidence, and balance. This program is for riders that can’t join our regular lesson program. Hippotherapy has our occupational therapist work with the client on the horse, with an assistant leading it. Different movements of the horse present challenges to the rider to promote different postural responses and enhance neurological and physical functioning. Horses are large, sensitive animals which can engage people to positively overcome fears, anxieties, depression and low self-esteem. Our equine assisted program uses this unique relationship with the horse to promote and motivate children and adults to improve physical and cognitive skills. Horses require us to work, whether caring for them or working with them. In an era when immediate gratification and the “easy way” are the norm, horses require people to be engaged in physical and mental work to be successful, a valuable lesson in all aspects of life. The Colchester & District Agricultural Society will be sponsoring up to 12 students each session for $200 each to cover part of the cost. Full payment must be received at Paints-Plus before they will send out a cheque for the sponsorship to the payee within the first week of the session. Submitting an application does not guarantee acceptance into the program. Riders must be able to hold a sitting position while the horse is moving. As we do not have a ramp or lift, riders must be able to mount with 2 assistants. Maximum recommended weight is 200lbs. Riders must have their own ASTM riding helmet and boots with a heel. We will need a clearance letter from your doctor as well as a signed release and hold harmless waiver. Riders accepted into the program are done so on a trial basis, as therapeutic riding is not appropriate for everyone. To volunteer as an Equine Assistant, please email us. Please note you must be at least 16 years of age with 3 years riding experience. Gail Praharenka is a full time Occupational Therapist with over 25 years of experience working with children, adults, and seniors primarily in areas of neurology where she learned various approaches to rehabilitation of medical conditions. She also worked for several years in Mental Health helping clients through an occupational model with addictions, depression and anxieties. She has extensively studied cognition and methods of learning. She has also owned and ridden many horses for over 15 years. Call/text Gail at 780-993-3470.  EFMH is a gentle, powerful, and unique type of psychological/animal-assisted therapy that is well suited for people who may not respond to a traditional therapy approach or setting. In the presence of a horse, people can feel safe enough to be themselves, to feel their emotions more fully, while, at the same time, they can feel accepted wholly and unconditionally by another living being. Often, we are able to talk about issues more indirectly, through the horses, which often means that the issues can be addressed and resolved more quickly. 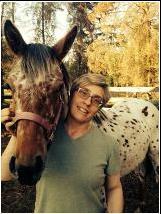 As a registered psychologist for 22 years, Diane Priebe brings all of her therapy and life experience with her to the equine work—including her training in Hakomi mindful somatic psychotherapy, attachment therapy, and play therapy. She is currently in the final stages of completing her certification in Equine-Facilitated Mental Health (through EFW-Canada). Equine therapy services provided through her are eligible for extended health care coverage through most insurance providers. If you would like more information or to refer a client, please contact Diane Priebe by e-mail or (780) 707-5711, or go to her website. Offered at Paints Plus Equine Centre Wednesday and Friday mornings, beginning May 1, 2019. Carmel and Sterling are 2 of the lesson horses that will be used. The pictures below are after the kids camp finger painted them.